If you’re considering an eco-friendly model like the 2019 Honda Clarity Plug-In Hybrid for your treks throughout Cerritos, Downey, and Long Beach, you’ll want to learn all about it. Honda Clarity reviews can help you get a strong sense of the vehicle’s performance, efficiency, and features. 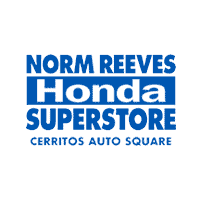 At Norm Reeves Honda Superstore Cerritos, we’re here to provide our 2019 Clarity Plug-In Hybrid review, so you can see if it’s the car for you! There’s a few components under the hood of the Clarity Plug-In Hybrid that help with its performance. The vehicle includes the 1.5-liter 4-cylinder engine that can produce 103 horsepower and 99 lb-ft of torque. The engine is paired with the AC Permanent-Magnet Synchronous Electric Motor that can produce 181 horsepower and 232 lb-ft of torque. Together, these components assist the Clarity in producing 212 total horsepower. As for the vehicle’s efficiency, the 2019 Honda Clarity Plug-In Hybrid gets an EPA-estimated 44/40/42 city/highway/combined MPG.1 The Clarity also has a 340-mile combined gas-electric driving range. This wouldn’t be a Honda Clarity Plug-In Hybrid review if there wasn’t a focus on the impressive assortment of media options included in the cabin. The vehicle comes outfitted with an 8-speaker sound system and includes the 8-inch dashboard-mounted high-resolution electrostatic touchscreen display with customizable features and settings. The vehicle’s touchscreen gives drivers access to a bevy of fun and sophisticated features. The vehicle includes Apple CarPlay™ and Android Auto™ to integrate your phone into the screen, so you can access your apps and contacts. The vehicle also includes HD Radio™, HondaLink®, and a 3-month trial subscription to SiriusXM® Satellite Radio. The Honda Clarity Plug-In Hybrid comes standard with the Honda Sensing® collection of driver-assisting technology features. These features work with sensors mounted to the outside of the vehicle to predict impending collisions by factoring speed and proximity. 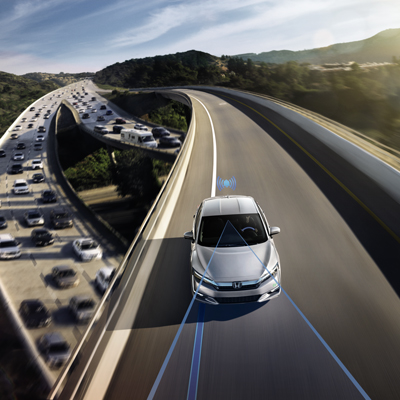 These features include Forward Collision Warning, Collision Mitigation Braking System™, Lane Departure Warning, Road Departure Mitigation System, Lane Keeping Assist, Adaptive Cruise Control with Low-Speed Follow, and Honda LaneWatch™. 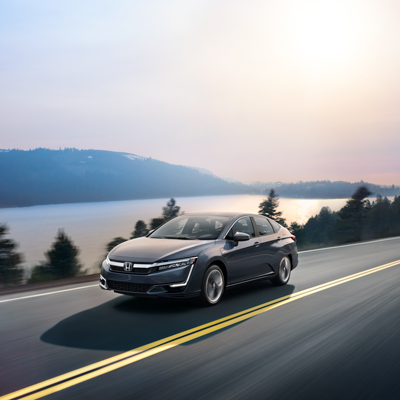 At Norm Reeves Honda Superstore Cerritos, we hope our Honda Clarity reviews help you get a stronger sense of this hybrid vehicle and what it offers. While you’ve learned enough about its performance, its efficiency, its features, and its technology, you still need to learn how it handles on the road with you behind the wheel! Schedule your 2019 Honda Clarity Plug-In Hybrid test drive with us at Norm Reeves Honda Superstore Cerritos! We’re here to help drivers throughout Cerritos, Downey, and Long Beach when it’s time to find the right car! 1 110 combined miles per gallon of gasoline-equivalent (MPGe) electric rating; 44 city/40 highway/42 combined MPG gasoline only rating. 47-mile EV mode driving range rating, 340-mile combined gas-electric driving range rating. Ratings determined by EPA. Use for comparison purposes only. Your MPGe/MPG and driving range will vary depending on driving conditions, how you drive and maintain your vehicle, battery-pack age/condition and other factors.